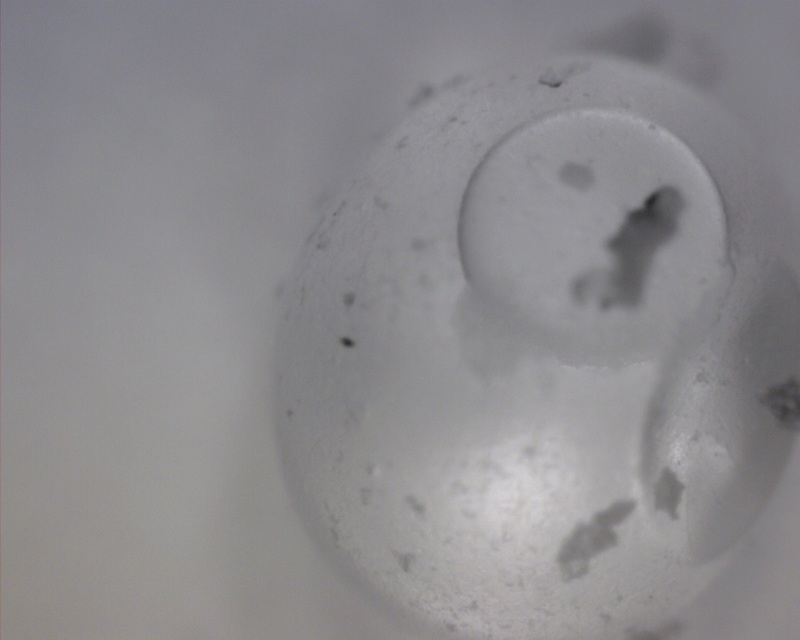 Yesterday I colllected Austrolebias wolterstorffi (Velasquez) eggs. 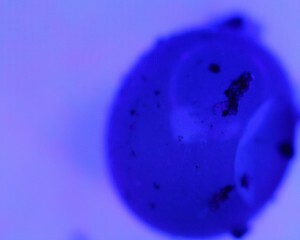 I just decided to make some pictures of them, using a DinoLite USB microscope with UV (395nm) and near IR (940nm) leds. Here are the results on a fresh egg (well maybe not from the last few days) that I just put straight from the peat onto a piece of paper on my desk. The result is simple to achieve and really encouraging. So I will try to get pictures of all main developmental stages with this lighting. Left: UV; Right: IR. This entry was posted in Austrolebias, Experiments, Ideas by tvdooren. Bookmark the permalink.